When couples file for divorce in Missouri, one of the spouses may request and be entitled to receive spousal maintenance or alimony from the other spouse. Spousal maintenance or alimony simply is financial support for one of the spouses. A spouse may seek a temporary order of maintenance or have a temporary order made final as part of the divorce settlement. The idea behind maintenance is to make sure that both spouses can financially support themselves with a comparable the standard of living after their divorce that they had while they were married. The spouse awarded maintenance, known as the recipient, may be disadvantaged in terms of education, career training, employment history or disability. Judges is Missouri consider several factors when awarding maintenance. Among the factors examined at the outset are whether the spouse seeking maintenance can support him or herself through their current employment or whether the recipient can find employment based on teir current qualifications to allow them to support themselves. The age, physical and emotional condition of the recipient spouse and the ability of the paying spouse to provide the support. Maintenance can only be modified if the judge issues a modifiable order of maintenance. To receive a modification of an order of maintenance, there must be a substantial change in circumstances making the original order unreasonable to continue. A non-modifiable order on the other hand, will not change even if the circumstances of both spouses change. This type of order usually has a specific termination date or an event that would trigger termination and is referred to as “term maintenance”. Maintenance payments are tax-deductible to the paying spouse and reportable income by the recipient spouse. Any spouse may seek and receive maintenance. Maintenance may not be discharged in bankruptcy nor the remarriage of the paying spouse. Cohabitation may terminate a maintenance order in certain circumstances. Maintenance can be sought by either spouse when a couple divorce. If there are sufficient financial resources, considerations may be made to keep the spouses in a similar financial position they were in during the marriage. When the parties cannot agree to maintenance, the divorce judge makes an award for maintenance depending on several factors, including length of the marriage, and whether the spouses are financially self-sufficient. 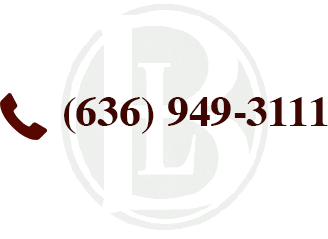 If you have questions about commencing a divorce, grounds for divorce, award of maintenance, how custody and child support determinations are made or are in need of legal representation to obtain a divorce in Missouri, contact our office today to schedule a case consultation. For more information on maintenance please visit our blog (stcharlesdivorcelawyerblog.com).